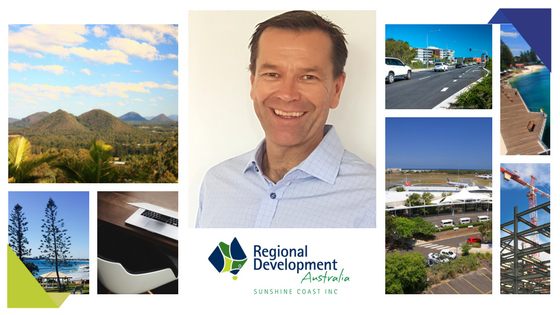 AFTER 20 years in the tourism and international development sectors, Phil Harman has been appointed Regional Director of RDA Sunshine Coast. He takes up the position on May 23. Mr Harman, who returned to the Sunshine Coast last year after almost a decade in Indonesia and Vietnam, sees his new role as an exciting challenge. “I am passionate about helping to create economic opportunities on the Coast and ensuring that we maintain the region as a great place to live and visit,” he said. Mr Harman has wide experience in the public and private sector, spanning tourism, transport, agriculture and education, and has consulted to organisations including the World Bank and UNESCO. Before moving to Asia, Mr Harman was CEO of Tourism Noosa from 2000 to 2004. While in Indonesia, Mr Harman established the Indonesia Country office for SNV Netherlands Development Organisation, an international NGO that seeks to alleviate poverty by using market-based approaches. He grew the team to more than 40 staff and delivered projects spanning agriculture, renewable energy, water and sanitation and climate change. Mr Harman provided policy advice to governments in Vietnam, Cambodia and Indonesia on green growth planning, climate change and tourism. Earlier, he headed up the marketing for the Federal Government’s inward investment agency and chaired the national investment marketing committee. “I look forward to working with the chair and committee of RDA to build on the great work that has been done in facilitating business opportunities and responding to the region’s infrastructure needs,” he said. RDA Sunshine Coast chair Carol Cashman said her organisation was delighted to have secured an executive with Mr Harman’s skills and experience. RDA Sunshine Coast is part of a nationwide network of committees that work to bring together all levels of government to enhance the growth and development of Australia’s regions. Its vision is to create an innovative, dynamic, connected and sustainable Sunshine Coast. This entry was posted in News and tagged RDA Sunshine Coast, regional development australia.